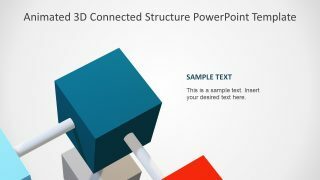 The Animated 3D Connected Structure PowerPoint Template is an awesome cube presentation. It is an eight steps diagram design showing 8 cubes as individual segments. these cubes are the corners of a large cube shape. 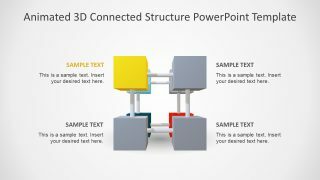 Therefore, this 3D structure diagram can present a system of connecting independent processes. 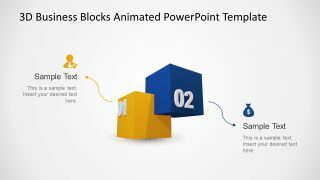 The special animations of 3D objects provide a motion-film layout to engage the audience in an eye-catching graphical content of presentation. Because slides only highlight the keynotes of an entire presentation. 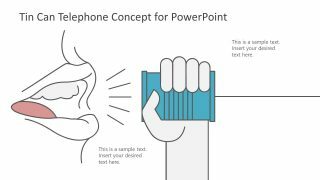 So, the graphics help to create a mental image of concepts delivered by presenter. 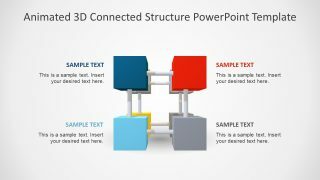 The Animated 3D Connected Structure PowerPoint Template is suitable for defining business or project processes. For example, an information chart, process flow, data modeling, and more. 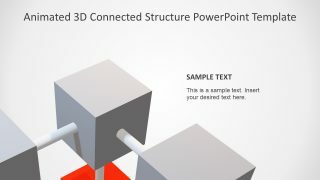 The cube shapes in this template are 3D objects, therefore, users cannot make many customization-like colors or effects. 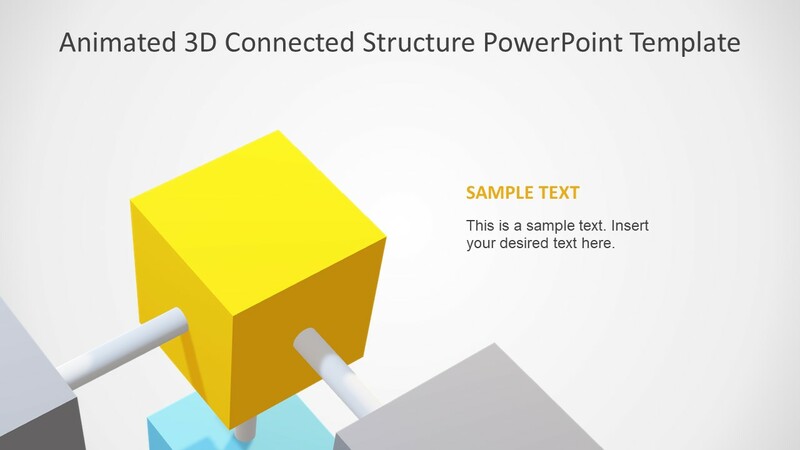 However, the other elements of cube diagram presentation including animation, transitions, and text placeholders. 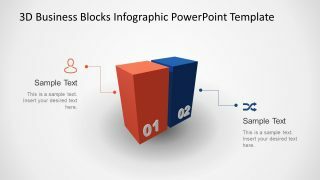 Further, modify the background of presentation by adding company logo or theme and isolate individual cubes. 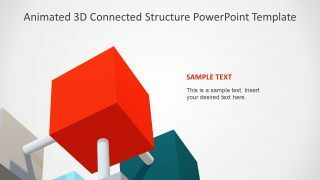 The connected structure PowerPoint shows 360 degrees animated rotation of 3D objects in all directions. The Animated PowerPoint diagram of 3D model is a ready-to-use Rubik cube presentation. It provides text placeholders for each sub-cube segments. The users can highlight discussion topics like problem solving, process description, or status of work. 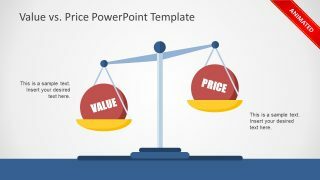 Furthermore, the last slide provides a bullet point format to explain summarized version of this presentation. 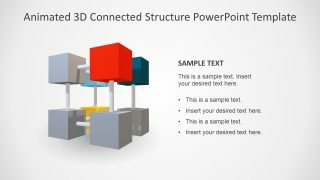 Alternatively, users can download flat cube PowerPoint diagram in 3D format to explain connected process or segments of a model.